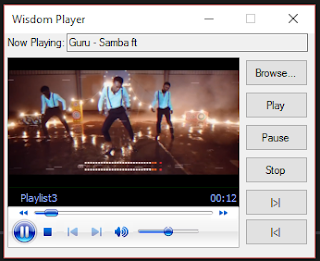 This is a simple media player made using VB.NET. This app allows you to upload your video/audio file using a coded button and play your uploaded file using play button, Pause, Stop etc. This app may help beginners to get an interest to learn to code.